6 Bedroom Semi Detached House For Sale in Bedford for Guide Price £600,000. 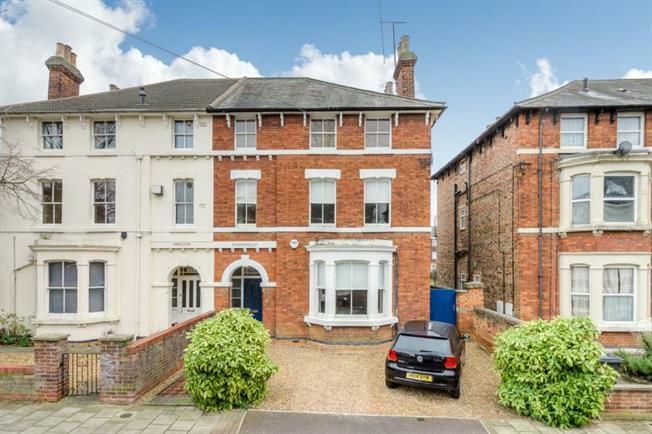 Very well presented and Spacious six bedroom period property, centrally located in Bedford. This victorian property retains a lot of original features throughout, offering well proportioned and versatile family accommodation arranged over three floors. The property also benefits from having no onward chain. The local shops and amenities of Bedford Town are a short distance away. Bedford also benefits from enviable access to major road and rail routes, London St. Pancras can be accessed directly in under 40mins. Further benefits include off road parking and front and rear gardens.